Happy weekend!!! And if you’re super duper lucky like me, happy long weekend!! Monday is Massachusetts’ holiday Patriots Day (also, Marathon Monday!) and since I work in Boston, it’s a day off for me. Can’t complain about that, though I’m sure that just means I’ll spend the day working in the kitchen and on my blog instead, something I always welcome more time for. It also happens to be Easter weekend! After missing Easter at home last year (I was laying on a beach in St. Maarten instead… Ahhhh), I’m exited to have my family over for brunch and to do a little egg hunt with my nephews. Onto my March in meals! I definitely didn’t go as much from-scratch cooking in March, but I’m not getting down about it since Chris was out of town at the beginning of the month, we had plans many evenings, and I gave myself a break a few times when I worked late or came home exhausted. That said, we still had some amazing meals, some of my favorites from the year so far and I’m sure a few that will be repeated in the future. 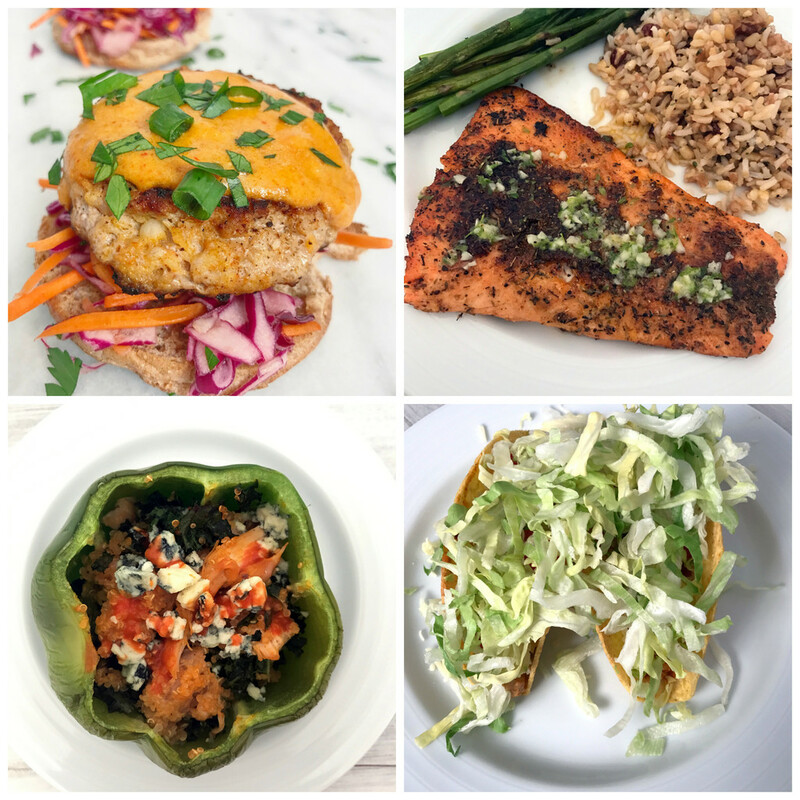 The biggest winners of the month were probably those Coconut Curry Pork Burgers, the Blackened Salmon, and Open-Faced Balsamic Steak Sandwiches. April is off to a pretty good start on the weeknight meals front so far. I have so much more motivation now that I get home from work and it’s still light out. On evenings I don’t have plans and am home from work at a decent time, I take Winnie for a walk and then get cooking. Heaven! Soooo, I think it’s safe to say that spring is finally here in New England. Especially since it’s supposed to be 80 degrees on Easter!! But less than two weeks ago, I put out my new spring doormat and then watched it become covered in snow. Come on!! But I think we’re done now. Also, you should note that Target has the most fun doormats right now. I stood in the aisle for about 20 minutes trying to decide which to get. Obviously went with the cactuses, but only because they were sold out of the pineapples I was hoping for. I also have to share the fun wall I finally decorated in my day job office. I’ve literally been in this office for 6 months now, but finally found a 10×10 frame in white that wasn’t $60 for my macarons print. 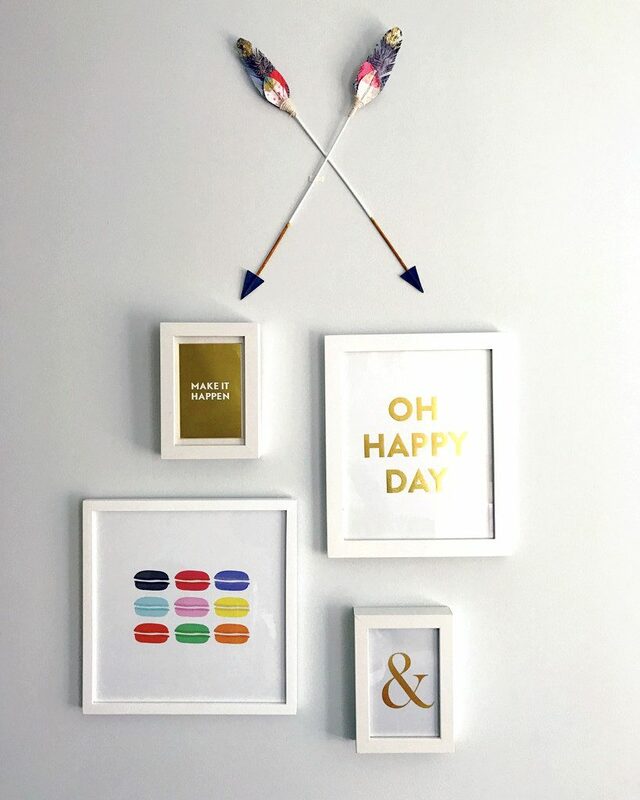 Also note that my fabulous arrows (an Etsy find!) have since fallen from my wall and I’m in search of a better way to secure them. Little things like this wall have the power to make my work days so much better. New favorite beer alert! Chris and I bought this one a while ago and completely forgot it was chilling in the fridge until I found it a couple weekends ago. 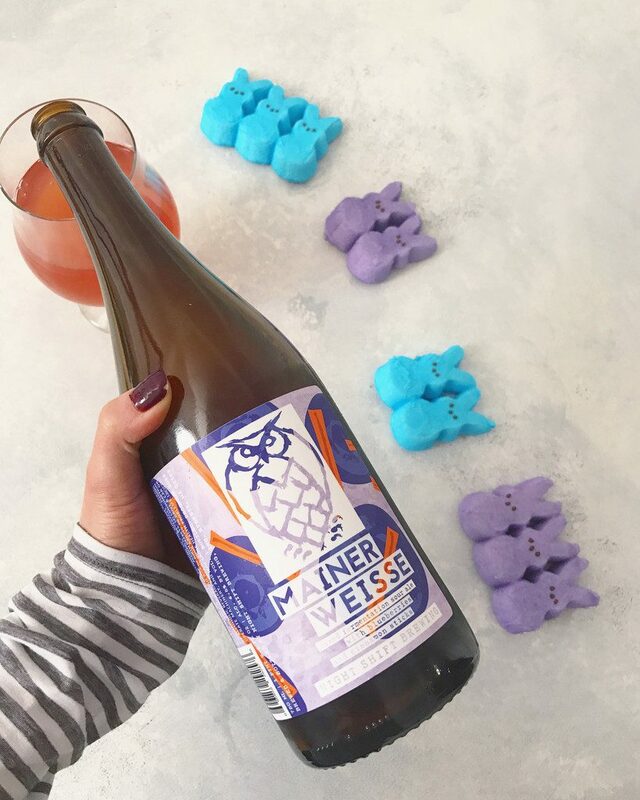 It’s from our local brewery Night Shift Brewing and is a blueberry sour. I’ve always been a big sour lover and this is most definitely my new favorite. It’s SO tasty. Is there anything better than pasta with bacon and an egg on top. NOPE. 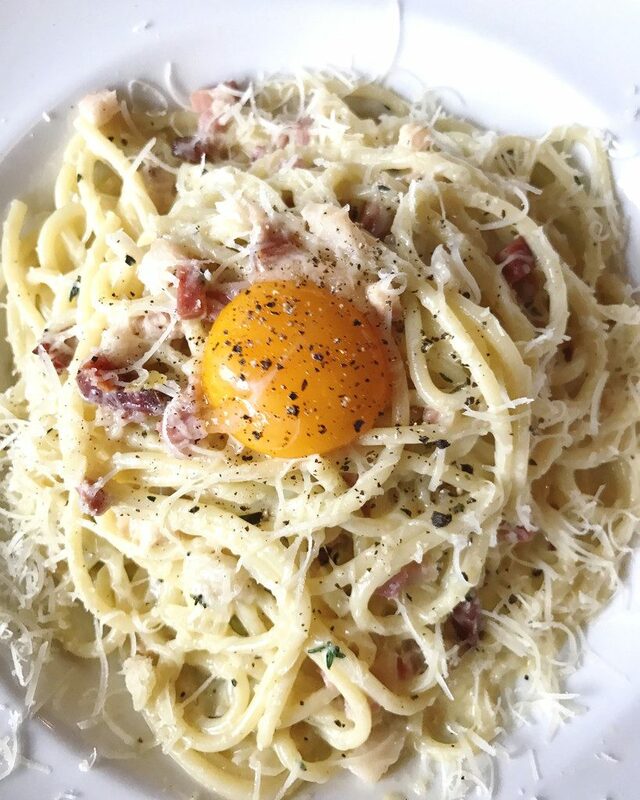 This carbonara is from Posto in Somerville and was hands down one of the best things I ate in March. And what would a Friday I’m in Love post be without a few snaps of my pup?? She’s currently psyched because her April BarkBox is coming this weekend, but here she is with the sushi she got in her March box. And stopping to smell that glorious tulips that I have been purchasing every single week since March. Having fresh flowers in my house seriously makes me so much happier!! And I couldn’t resist this one… I mean, come on. 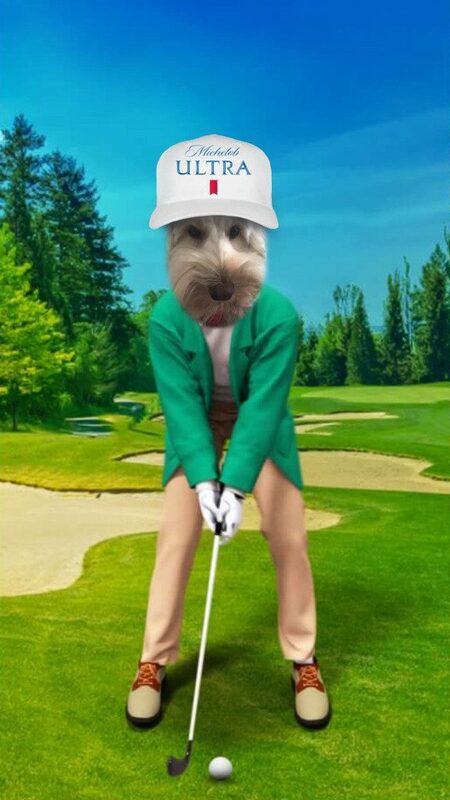 Doesn’t Winnie make the most glorious golfer? Without Home Ec, I Would Have Never Become a Professional Chef: Bon Appetit featured this excerpt of Barbara Lynch’s new memoir and it definitely made me want to read the whole thing. It also makes me sad Home Ec isn’t taught in most schools now. They had just ended cooking classes in my high school when I got there, though I still got to take sewing. And woodworking. Cooking would have been way more valuable than either of those! Skittles, Champagne And Cigars: A New Generation Of Flavor Pairings: I’m not a cigar smoker and don’t love sitting in cigar smoke-filled bars, but I think this idea is fun. Give me champagne and Skittles and maybe I’d change my mind about cigars! Amazon Was Very Serious About Buying Whole Foods: Imagine?? Not sure that this would ever happen, but interesting to know they were hoping to. Starbucks Brings Pink Drink to Permanent Menu: All those Instagram photos paid off… Now you can order the Pink Drink whenever you want (Orrr you could always make my version of Starbucks’ Pink Drink!). Apple Pie Oreos are Coming to a Shelf Near You: Y’all know I’m a sucker for new Oreo flavors and I have a feeling I’m going to love this one, odd as it may sound. These are making me kind of sad that I already have my Easter brunch menu planned for this weekend. Because how much more perfect can you get?? 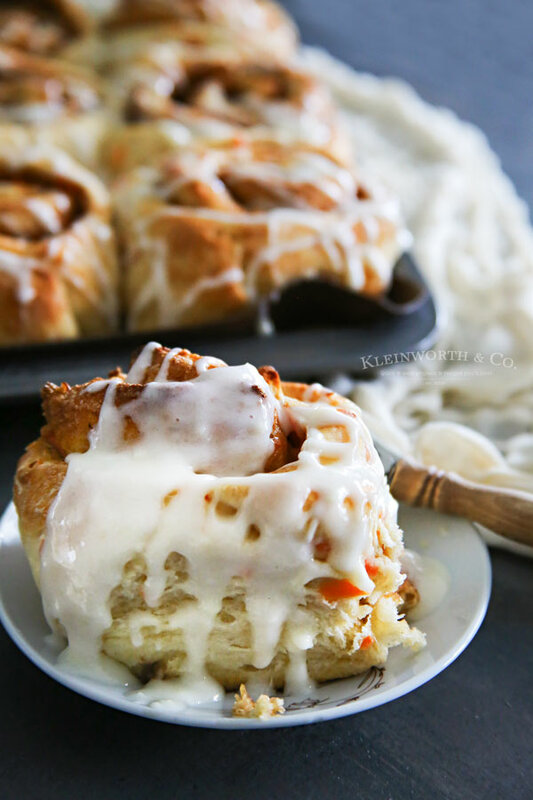 Also, cinnamon rolls that only take an hour?? Count me in! 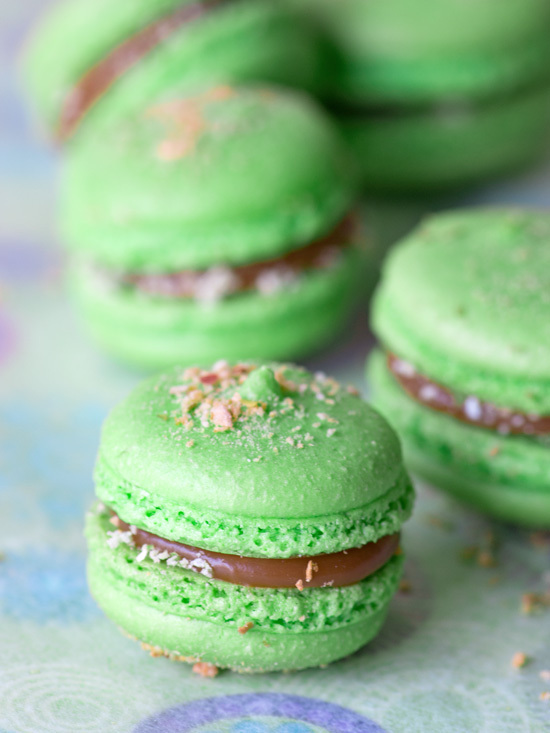 Though I won’t be making these for Easter, I’m definitely pinning them for a later date! 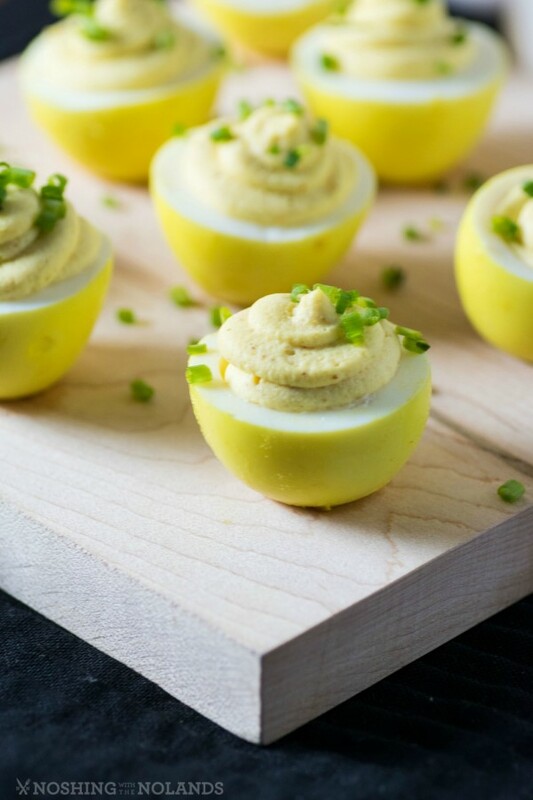 Sometimes I think every kind of deviled egg has already been done before… But then I see versions like these and I know I’m wrong! These are so perfect for Easter, but really for any time, especially considering how turmeric is all the rage right now! I am forever impressed by perfect macarons, but even more so when they’re made in ridiculously fun flavors, like these ones. I know caramel apple is more of a fall flavor combination, but I think it’s delicious any time and since I recently spotted these, I couldn’t resist including them in my roundup. And that’s your Friday I’m in Love post for April! I hope you all have wonderful weekends filled with nice weather, family and friends, and delicious food. Be sure to follow me on Instagram to see what I’m whipping up for Easter brunch (and probably 100 stories/day of my dog)! 11 Responses to "Friday I’m in Love #12: Springtime Cheer"
Thanks for trying my stuffed peppers! So glad you liked the burgers! Everything else looks delicious! Woohoo for a long weekend! Thank you so much for linking to that book…it’s next on my reading list. We had Home Ec in middle school where we did cooking, sewing, etc. but who knows if it’s still in the curriculum now. 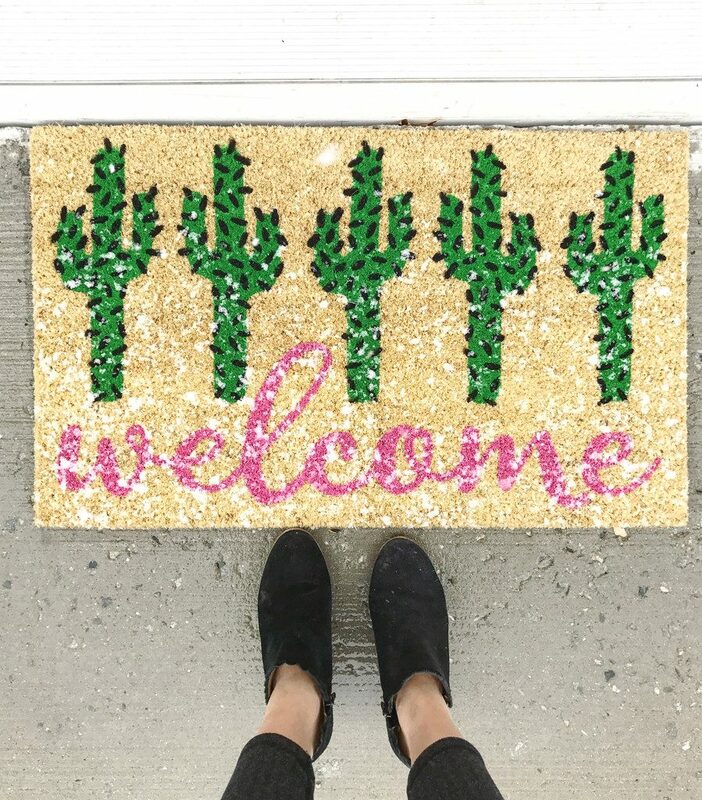 And I’m definitely feeling the inspiration to up my welcome mat game! Yay for a day off! We had Friday off so that was pretty awesome to have a three day weekend 🙂 You had a delicious month and that carbonara looks sooooo good! 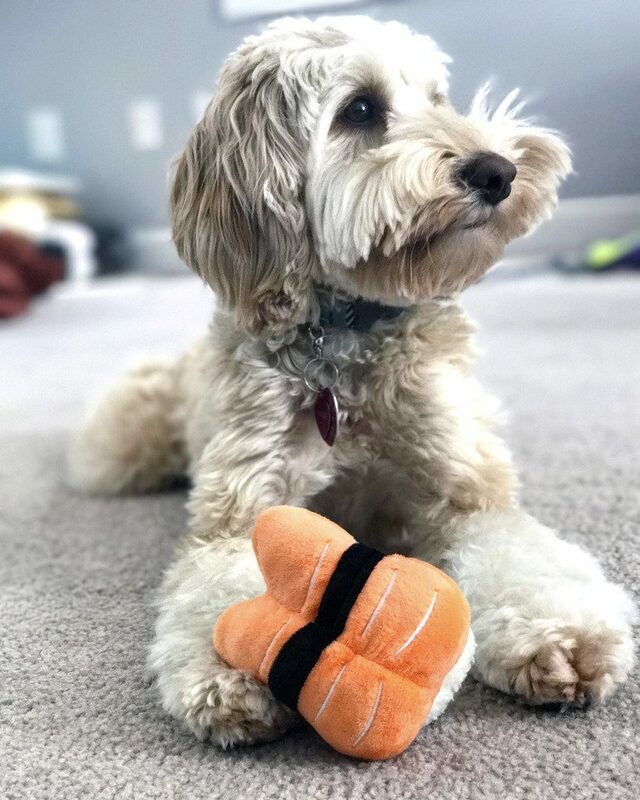 My pup got the sushi themed Bark Box too (though, his toy is in a little rough shape – he love to take the stuffing/squeaker out of them). That golf pic is hilarious 😀 !!! Yay for long weekends! 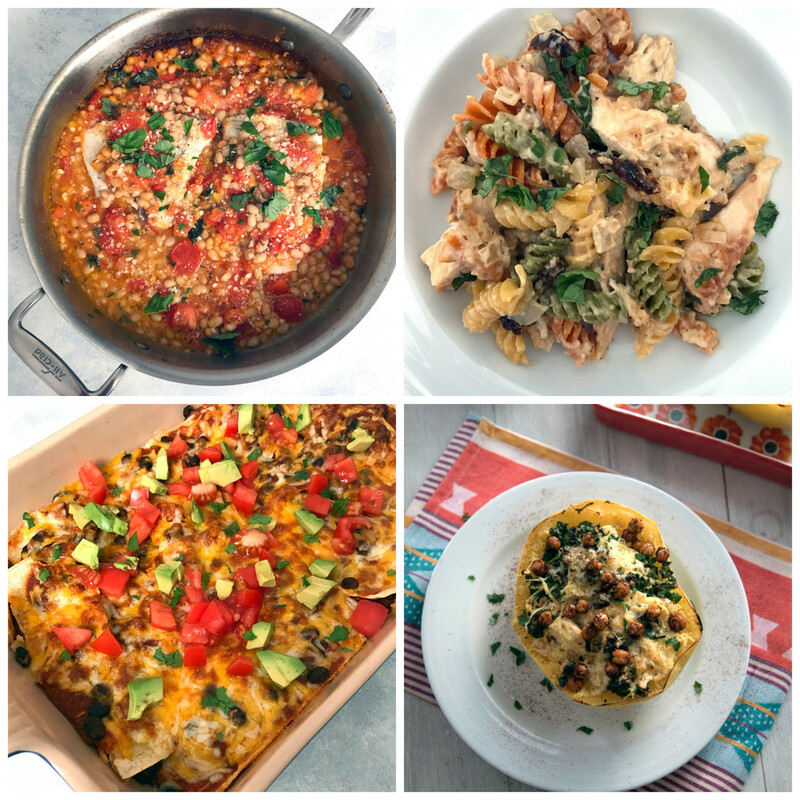 Oh my goodness, so many yummy meals! Everything looks amazing! I’m glad you had the day off! How fun for you!!! My brother in law ran the marathon today. I heard it was quick warm! I hope your Easter was perfect! Thanks for sharing all these links. Hope you had a great Easter weekend. 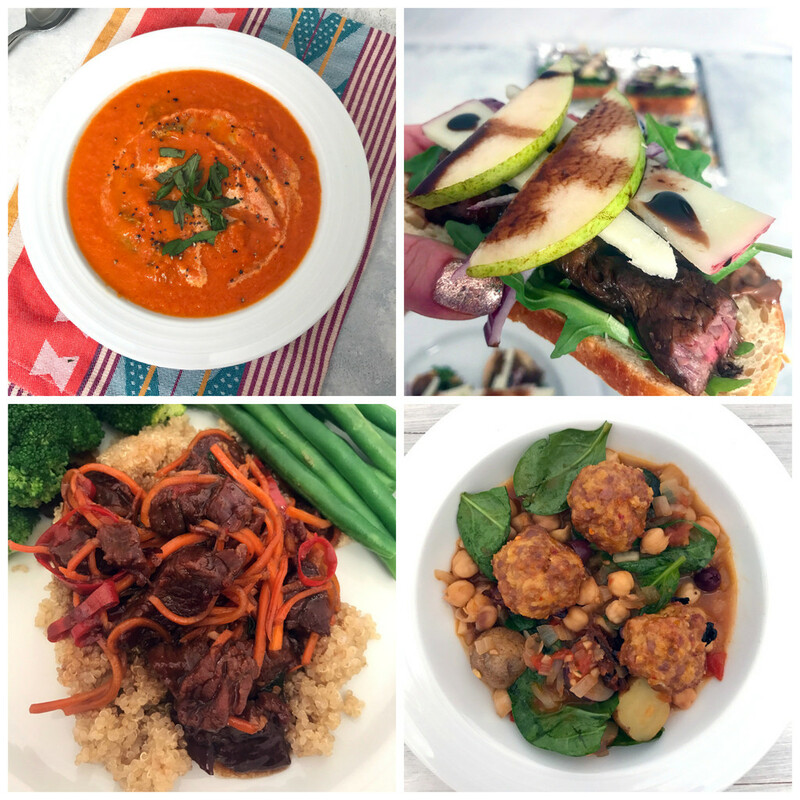 All the meals you made last month look really good! So glad you liked the steak sandwiches…my husband and I can’t get enough of them either! Also…how cute is that doormat?! Adding it to me list of things to get on my next Target run! 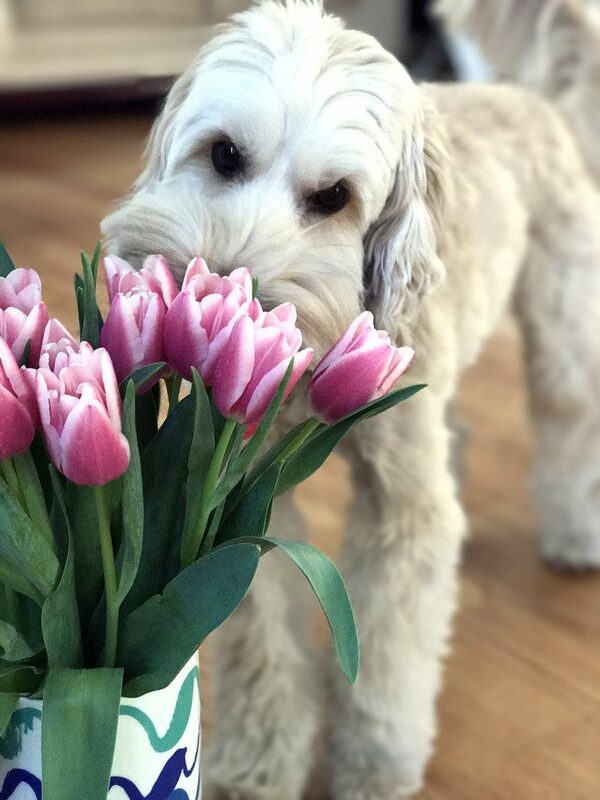 Those meals look amazing – thanks for sharing… Winnie is BEYOND CUTE, but I know you already know that… Have a great day! That doormat and your wall are perfection!!! Your puppy is always so cute!